Candace was born and raised in Bedford-Stuyvesant and attended public schools until twelfth grade. She spent her teenage summers tutoring students and helping to organize a neighborhood-based summer camp program. After graduating high school at 16 years old, Candace enrolled at Hunter College and received her bachelor’s degree in Media Communications and History. After college, she thoroughly enjoyed her job as a sports video editor for ABC; however, her passion for working with youth never left. In her last year at Hunter College, she was hired as a school aide and paraprofessional in a junior high school located in the South Bronx. There, her passion for instruction and student achievement went ablaze, and she persuaded a career in teaching. For the next seven years, Candace taught in a variety of settings as a licensed special education and general education teacher, coordinator, student activities liaison and Director of Student Life. In 2013, Candace opened Origins High School and served as the Assistant Principal for 3 years. She earned her Master’s in Urban Education from Long Island University and Master’s of Education Administration from Brooklyn College. During her spare time, Candace enjoys taking her daughter on excursions, participating in pointe ballet classes, and baking. As a native New Yorker and a local Brooklynite, it is a pleasure and an honor to serve your family as the Principal of Urban Assembly High School for Collaborative Healthcare. Anna was raised in rainy, beautiful Eugene, Oregon and is a life-long fan of the Oregon Ducks. She attended Vassar College and majored in Political Science and after graduation, began teaching 9th grade Global History in Manhattan. After a brief stint in Boston to get a Master's in Education Policy at the Harvard School of Education, she returned to New York to pursue a certification in school administration. She spent 5 years as an assistant principal in the Bronx and was thrilled to join UASCH in the 2107-18 school year. She enjoys reading (young adult fiction is her secret addiction), playing volleyball and eating dessert. Ms. Upshaw was born and raised in Brooklyn, NY. She attended Bernard M. Baruch, where she studied Human Resources Management. Ms. Upshaw is very passionate about fitness and literacy. She is a certified fitness professional and running coach. She volunteers her time at the Brooklyn Public Library, where she teaches adults to read and write. Kara Hamilton is a native of Brooklyn, New York. She earned a bachelor's degree in Government from Harvard College and a master's degree in Public Administration from The London School of Economics and Political Science. She is currently pursuing a Master of Arts in Teaching English to Speakers of Other Languages at Hunter College. She is proud to be a founding staff member at UASCH. She enjoys watching documentaries and independent films. She hopes to attain native-level proficiency in Spanish and French in the future. Ms. Loveday is a native New Yorker with roots in North Carolina. She attended Baruch College where she majored in Accounting and Business Adminstration. She worked at Dreyfus Corporation in the Tax Department before starting her own business, Loveday Publishing. Having her own buiness allowed her to volunteer at her son's school and still work. However, the events of 9/11 affected her business drastically. In 2003, she was hired as a Parent Coordinator and has worked for PS/IS 332, PS 631, and Multicultural High School. Ms. Loveday joined The Urban Assembly School for Collaborative Healthcare family in the 2016/2017 school year. She works with youth during the week and the weekends. She is the Assistant Coordinator for the Brooklyn North Area Adventurers, the Secretary for the Brooklyn North Area Pathfinders, an Instructor for the Green Hornets Pathfinder Club (ages 10-17) and a teacher for the Blue Jays Adventurer Club (ages 4-9). Ms. Loveday enjoys cooking/baking, crocheting, knitting, sewing, solving puzzles, swimming, and singing. She is the leader of the praise team at her church. One of her favorite activities is going camping every year with her youngest son. Ms. Major grew up in New Jersey and received her undergraduate Bachelor's degree in Psychology and Spanish from Trinity College in Hartford, CT. Unsure what she wanted to do, Ms. Major began by working in Crown Heights, Brooklyn at PS 138 as a 1st grade teacher. During that time she also earned a Master's in Education from Brooklyn College. Ms. Major realized quickly that teaching was not her passion and made a career switch. She studied social work at NYU where she received her Master's in Social Work. Ms. Major has been happily working as a school based social worker since 2006. In her spare time, Ms. Major spends time playing with Legos with the two loves of her life, her two young sons. She also spends time exercising every day to support her sugar habit, specifically cookies and chocolate. Nick Schratwieser, from Long Island, NY, serves as the Dean of Students for UASCH. Mr. Schratwieser also teaches some of our students in Physical Education. He holds a Bachelor's Degree in Physical Education from Salisbury University (Salisbury, MD), a Master's Degree in Childhood Education and Students with Disabilities from Adelphi University (Garden City, NY), and a School Leadership Degree from Hunter College (New York, NY). Previously, Mr. Schratwieser was a founding staff member at New Visions Charter HS for the Humanities II in the South Bronx, serving as the school's Physical Education teacher, Dean of Discipline, and Athletic Director from 2012 to 2016. Last year, Mr. Schratwieser served as the Assistant Principal of the 9th grade at New Visions Charter HS for Advanced Math and Science IV in Jamaica, Queens. Ms. Davy was born and raised in Brooklyn, NY. After graduating from Clara Barton High School, she attended the prestigious Stony Brook University. There she earned her Bachelor’s degree in Psychology and Sociology, with a Minor in International Studies. Ms. Davy spent one semester studying abroad in Oxford, England. After graduating, Ms. Davy entered the Department of Education while pursuing her Masters, in School Counseling. She earned her Masters in School Counseling from Long Island University- Brooklyn. 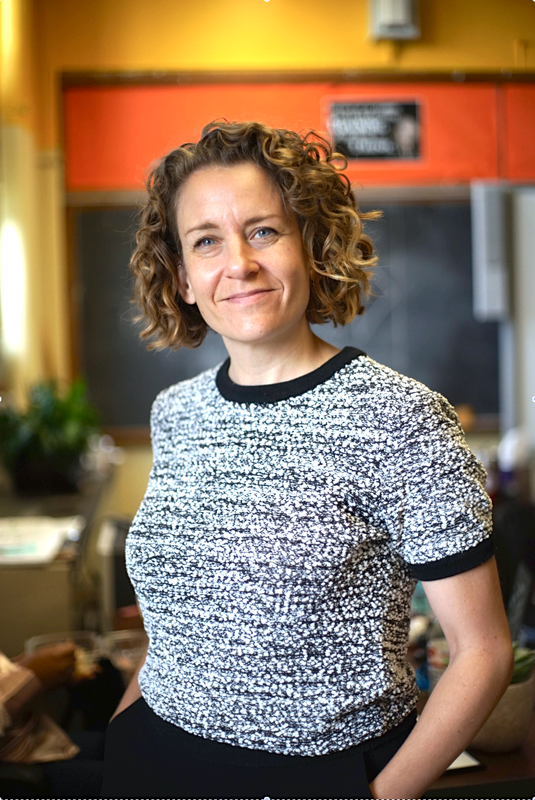 She spent two years working as a Guidance Counselor at The Cobble Hill School for American Studies, and joined the UASCH family in 2018. Ms. Davy enjoys reading, traveling, and shopping. Ms. Ferrier grew up in Queens, New York. She attended Hunter College, where she studied Psychology and English Literature. She received a Master's in Education from New York University in 2005. In 2009 she received an Educational Specialist Degree (Ed.S) from Lincoln Memorial University. Ms. Ferrier is a partner in facilitating the jewelry making club. Mr. Dell'Angelo is a native New Yorker who graduated from East Tennessee State University with degrees in Criminal Justice and Philosophy. He received his Master's in Education from the College of Staten Island. He has taught in various high schools and middle schools in Coney Island, Canarsie, and Bushwick. Mr. Dell'Angelo enjoys reading good books, watching good movies (and good anime), and also talking to good people. Mr. Dell'Angelo believes that there is no excuse for a lack of imagination. For nearly two decades Adam Cooper has been teaching humanities and theater classes to young whippersnappers in the challenging world of NYC’s Alternative High Schools. Originally from the Chicago suburbs, he spent his formative years acting on stage in over 40 plays and musicals and programming computers when it was a novelty to do so. While studying theater and the humanities at Carnegie Mellon, he began his career as an educator teaching a class in basic computing skills. After studying dramatic writing in grad school at NYU, he continued teaching as a college instructor at three local universities before becoming a high school educator. He is also a playwright and theater critic, and he has devoted much energy toward making the world more humane as a progressive activist. While interested particularly in 20th century history and culture, he has naturally been a devotee of 1960’s history, arts, and counterculture. 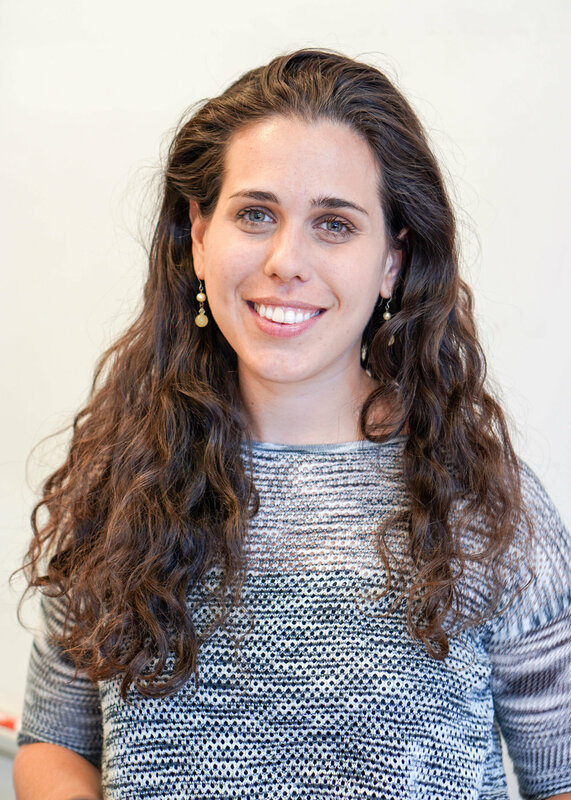 Ms. Reda has earned a Bachelor's Degree in English Literature and Language, Diploma of Education in Teaching English and is currently pursuing a Master's in Adolescence Education at Hunter College. As a certified English Teacher for Grades 7-12, she is proud of teaching English to students from different grades and different countries. Her goal is to instill her love and passion for literature in the minds and hearts of all her students. Mr. Holl grew up in San Diego, California. He completed college at Cal Poly-San Luis Obispo with a major in Biological Sciences, and is currently pursuing a Masters in Curriculum and Instruction. He has taught at UASCH since it opened, leads the yearbook club, and runs the school website. His hobbies include running, surfing, and skateboarding. Diannan Mithu was born and raised in a South American country named Guyana. After migrating to the United States he attended The City College of New York where he completed his Bachelor of Science Degree in Biochemistry with Honors and a Teaching License in Chemistry and General Science, Grades 7-12. Mr. Mithu is well acquainted with all science contents and has a passion for working with students who share deep interest for learning and investigating scientific phenomena. He is currently in his third year as an educator volunteers part time as a mentor. In addition to teaching chemistry, earth science and math, Mr. Mithu is currently the chair of our Student Council Body and serves as the Eleventh Grade Team Leader. In his spare time he enjoys cooking, traveling, and inspiring young minds to realize their full potential. Ms. Potter grew up in North Carolina and moved to New York in 2007. She attended the University of North Carolina for her bachelor's degree, where she studied Anthropology and African Studies. She received a Master of Public Health from Columbia University in 2011. She has worked in public education since 2013, when she began her teaching career as a family life and sexuality educator. Ms. Potter is passionate about social justice, and enjoys climbing and spending time in the ocean. Ms Soverall is a math teacher. She lives in New York. Additionally, she is a partner in facilitating the jewelry making club. Ms. Rand is from Chicago. She attended the University of Missouri - Columbia, where she received a BS in Mathematics and a BS in Secondary Education. She is new to the UASCH family, and enjoys baking, playing the guitar, and crafting. Mr. Ciano grew up on Long Island and has lived in New York for 40 years. He attended Dowling College for his bachelor's degree, where he studied liberal arts and sciences. He received a Master's in Education from Fort Hays State University. 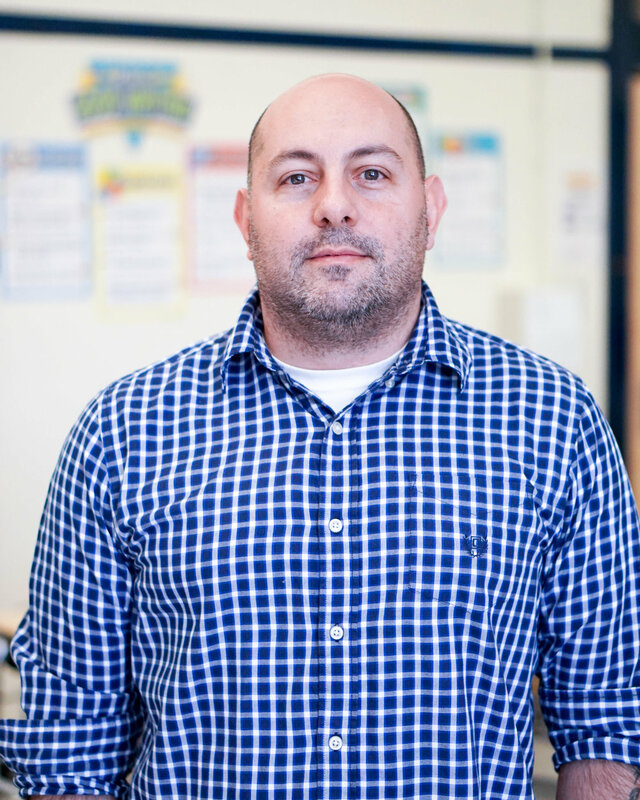 He has worked in public education since 2002, when he began his teaching career at Central Park East Middle School in East Harlem. Mr. Ciano is passionate about training jiu jitsu, traveling, and BBQ. Ms. Arendt used to be an art teacher and is now a Social Studies teacher with UASCH. She loves talking with students about all the crazy things in our world. She has an MFA in Studio Art from Tufts University/School of the Museum of Fine Arts and is now working on her Master's in Education at Lehman College. In addition to art- she loves yoga, dancing, learning new things, and enjoys hiking and traveling with her awesome husband. Mr. Black is a native New Yorker. He received his BA in Spanish from The City College and his MST from The New School. He has lived and studied in Barcelona, Spain and Quito, Ecuador. His goal is to visit every continent before he dies, Antarctica included. He has only two to go. Emily Lessem is a New York City native who grew up in Queens and Manhattan but now lives in Brooklyn. She attended Skidmore College in upstate New York for her Bachelor's in English and Spanish spending a year in Argentina and Chile. Emily taught English as a Second Language to adults in intensive English language programs in California and New York for eight years while also involved in political and labor activism. She recently received her Master's in Education at Hunter College and is in her first year teaching in a high school. Emily loves 90s hip hop, theater, chocolate in any form, going to the beach, and visiting new places. With graduate school finished, she plans to start doing ceramics after a long hiatus! Ms. Elie is born and raised in Brooklyn, New York. She attended Brandeis University in Waltham, MA where she received a B.A. in Business. This is her first year of teaching English as a Second Language and is super excited to equip her students with everything that they need to be successful in their academic careers. A fun fact about her is that she can move both of her ears at the same time. Ms. Buchanan grew up in Jamaica and has lived in New York for 13 years. She attended the City College of New York. She has a Master's in Education. She started her own school in Jamaica 20 years ago. She enjoys traveling and hanging with friends. Ms. Singleton was born and raised in Brooklyn, NY. She attended the illustrious Morgan State University in Baltimore, MD and earned a Bachelors degree in Journalism. Currently, Ms. Singleton is working on her Masters in Special Education at Brooklyn College while finishing up her MPS in Urban Ministry at Nyack College. She is new to the UASCH family, and enjoys dancing, traveling, music, and trying new foods.